Combine Mayan history at Tulum with the natural beauty of Xel-ha, a natural aquarium ideal for snorkeling. 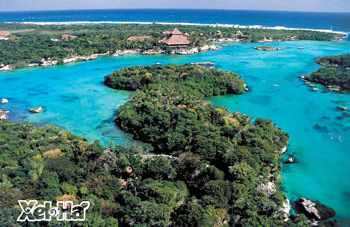 Our Tulum & Xel-Ha tour picks you up at your hotel lobby and takes you on the perfect adventure. Explore Tulum ruins, then snorkel at Xel-Ha for the rest of the day. This combination is a great way to please everyone in your group! The park of Xel-Ha is all inclusive, including all your food, drink, snorkel gear, towels and lockers in your tour price.